If there’s one time in the year to visit Hokkaido, Japan’s northernmost island, it’s in summer. Winter and fall are usually fiercely cold and snowy. Sapporo, the main city of the Japanese island, is home to the world-renowned, annual Sapporo Snow Festival, which attracts visitors from all over the world. Minus the great skiing resorts, summer is the most comfortable time to be in Hokkaido. Unlike others parts of Japan which see extremely high temperatures and humidity levels in summer, the city of Sapporo is warm but cool enough to allow visitors to walk the city comfortably, exploring the amazing bars and restaurants it has to offer. Sapporo beer is one with the city and the city’s cocktail scene is growing. In the Japanese whisky world, however, Hokkaido is extremely important. It’s where the country’s second largest whisky brand was born. The Yoichi distillery is around 2 hours from Sapporo station, a scenic bus drive through Hokkaido’s dense forests and coastal towns. Reaching the site, it isn’t hard to imagine Masataka Taketsuru, the founder of Nikka and known father of Japanese whisky, walking around the empty land where he’d create the great Yoichi distillery. The distillery, founded in 1934, is best described as a whisky lover’s amusement park. Many small red-roofed stone buildings are scattered across the grassy 132,000 square meter park. Each building has meaning; some focus on whisky production, while others hold history. Taketsuru’s past home is among the buildings. Sit on a bench and watch, you may see a distiller transporting casks to the warehouses. To this day, the stills are fired by coal, a practise said to define the bold, powerful Yoichi whisky character. After studying whisky production in Scotland, Taketsuru always dreamt of creating whisky similar to Islay Scotch, with all the power that comes with it. For this reason, after managing the Suntory Yamazaki distillery for a decade, he came up to Hokkaido, which experiences a similar climate to Scotland’s, and started producing Japan’s best-known peated whisky. This, at a time when peat wasn’t a very familiar, or even called for, note for the domestic population. Despite some substantial difficulties, Yoichi whisky is now synonymous with peated Japanese whisky. The aged Yoichi range rivals some of Scotland’s best-known peaty, smoky whisky brands. Sadly, Nikka had to discontinue the aged Yoichi single malt range several years back, due to severe stock shortages. Post WWII, when Japan’s shochu spirit boom started, whisky consumption dropped dramatically. The 80s and 90s were tough for whisky makers in Japan, and Nikka ever halted production for several years. Walking around the distillery grounds, though, one can easily see the results of the Japanese whisky boom of the 21st century. The walkways are full of visitors, the gift shop shelves are bare, and the tasting room is bustling with thirsty fans. The brand’s second distillery, Miyagikyo, opened four decades after Yoichi and helped broaden the company’s flavour portfolio, with a fruitier, more floral character. Miyagikyo is also the site where the ever popular Nikka Coffey range is produced, including the newer gin and vodka releases. After the Yoichi tour comes to an end, the gift shop offers distillery exclusive bottlings, a range of expressions named after the notes they deliver. The Yoichi Peaty & Salty and Woody & Vanillic are personal favourites, but the range is large enough to satisfy anyone’s tastes. Yoichi is a true monument of Japanese whisky. 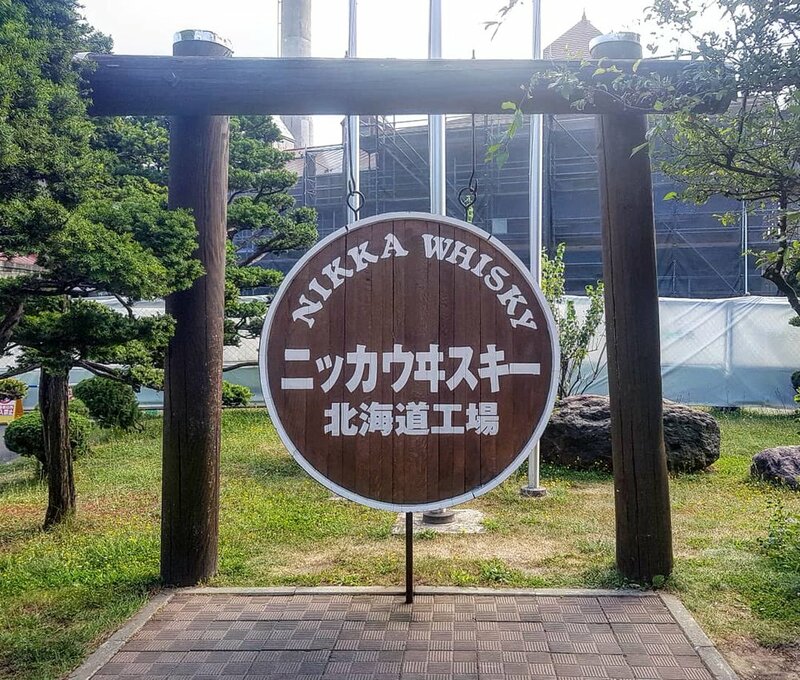 It was the playground of one of the most important figures in the industry, and was where the timeless rivalry between Suntory and Nikka began, a rivalry which has sent the standards of Japan’s whisky rising continuously. Visit Hokkaido for the food, festivals, and hot springs; stay longer for the rich whisky culture. After all the amazing drams you’ll try, a day or two might be needed to recover.